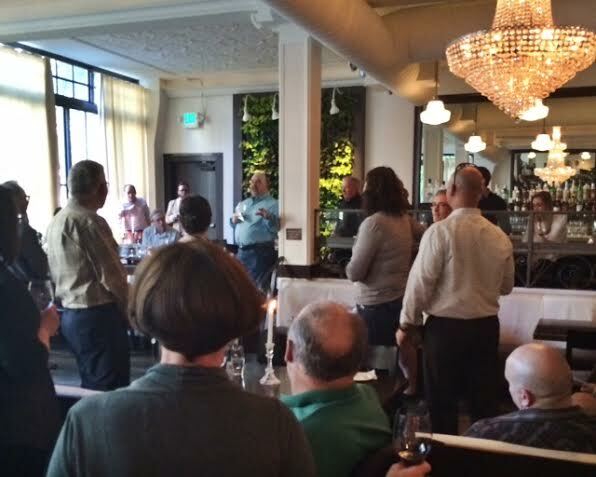 Here I am the day after Champoux Showdown and I'm still gushing over last nights soiree at the Coterie Room. First, I'm going to take a minute to fill everyone in on the amazing Fat Cork here in Seattle where we picked up the Champagne for this event. If you don't know about them already, you are sure to become a fan! They are a direct to consumer grower Champagne retailer that says 'We’re the Champagne version of the farm-to-table lifestyle.' It's true they live up to providing excellent service while offering a range of quality (and affordable!) bubbles. Plus, they're Wine Club is way cool. A glass of bubbles was the perfect start to the evening with everyone arriving right at 6 o'clock to begin their weekend early. Truffled gougeres, salmon crostini, and chicken croquettes were passed with the first tastes of Magna Red Wine and Champoux Merlot (both coming up in the next club release). Paul and Judy Champoux arrived and Charlie toasted to the guests of honor and the fabulous grapes he's been purchasing from Paul since 1995. This is the first event of ours that Paul and Judy have been able to attend since his retirement at the end of the 2014 harvest and it was such a treat to have them join in on the fun. We had about 50 people in attendance and it was so much fun to mingle with old members, new members, friends and even family. We tasted the May club release of Champoux Vineyard Cabernet Sauvignon which as usual, knocked our socks off especially with the 24 hour braised short rib sliders and lamp tartare. I will take this moment to admit that I am not a lamb fan but I actually went back for a seconds with these. Chef duo McCracken | Tough did a beautiful job preparing the bites for this event. I will be making a point to head to Spur to check out their regular menu. As a special treat the evening was finished off with both of the elusive 2010 and 2009 vintages of Champoux Vineyard Block One Cabernet Sauvignon. Yes, I also went back for seconds of these to have with the melt in your mouth dark chocolate sea salt truffles. By the end I was blissfully full of belly warming food and the elegant wines from Champoux Vineyard. On the ride home we already started planning this event for next year. Thanks to everyone who came and indulged with us! 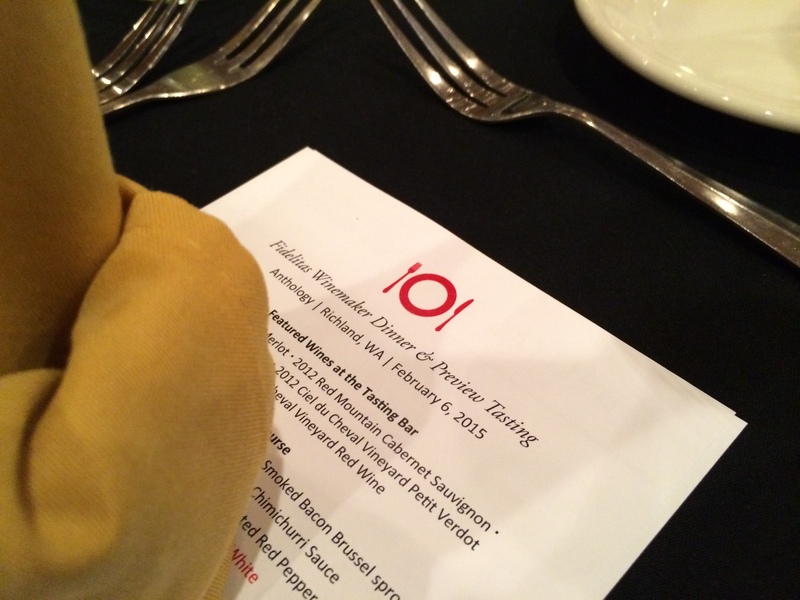 Jess was right, the menu was amazing at our Winemaker Dinner last weekend. As always we were more than impressed by the magic that comes out of Castle's kitchen. Their crew was on top of it, keeping our almost 80 guests plates full. Charlie's favorite was the 6 hour braised short ribs paired with Estate Vineyard Cabernet. The Salmon two ways came in as a close second, especially with the smoked bacon Brussel Sprouts and a generous pour of Optu White. 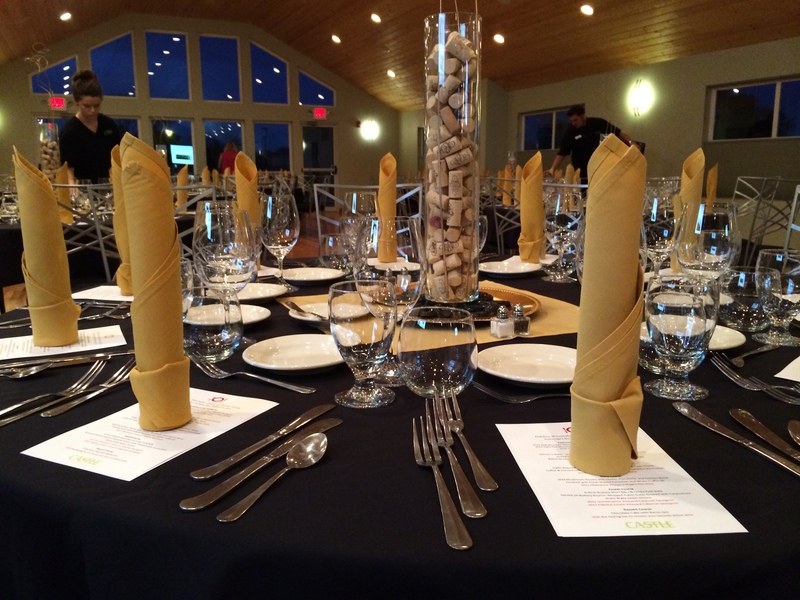 It was our first time hosting a dinner at Castle Catering's new venue. Chef Andy gave Team Fidelitas a behind the scenes tour of their new event space and kitchen in Richland. Did you know this used to be a dormitory for Hanford workers? Of course, they've spruced it up a bit since they've moved in. For more information about Anthology Check out their website. It’s January, which means that although it’s still freezing out there we’re starting to grow tired of winter stews and heavy holiday food. I've been trying to incorporate some fresh dinners at my house as of the start of this new year, and this Cajun seasoned Tuna (and a glass of the new release of 2012 Northridge Vineyard Malbec) is sure to kick up the spice and keep you warm. You can buy Cajun Seasoning in the spice isle of any grocery store, however, it’s EASY to make yourself with spices you already have in your cabinet. I mixed mine and stored it in a small mason jar. Living in Seattle, it’s generally pretty easy to pick up fresh tuna steaks at a nearby PCC or Whole Foods but after a little research I have found that most stores will carry frozen tuna steaks at the Seafood counter if you cannot find fresh. For our friends in the Tri-Cities, I found out that if you call ahead to Yokes a day or so in advance they can usually order in fresh tuna steaks for you (awesome!) or they will always have a stock of frozen you can pick up. 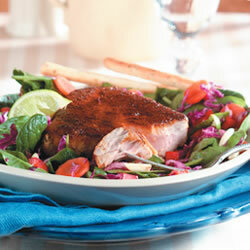 Here’s the recipe for quick, easy, and healthy Blackened Tuna Steaks which are perfectly paired wild rice, an arugula salad, and a glass of our new release 2012 Northridge Malbec. Cheers! This NYE we invited our neighbors (who happen to double as our best friends) over to our place for a night in avoiding the craziness that is New Years in Seattle. 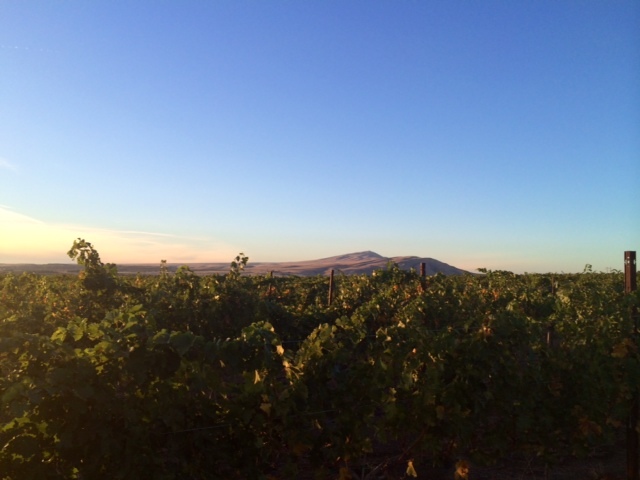 Most of the evening we were sipping the 2011 Champoux Vineyard Merlot. This could be because we are all so happy Charlie finally released a Merlot again this winter after the long time gone Red Heaven Vineyard Merlot that sold out in the spring. It could also be that I gave everyone a bottle of the Champoux Merlot for Christmas because it's velvety, bold, beautiful...and currently my favorite wine in the line up. 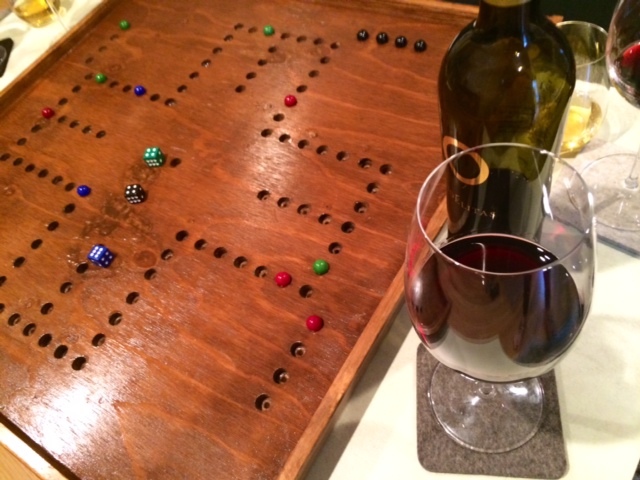 The Champoux Merlot happens to be seen in both of these pictures of our favorite games of the evening. 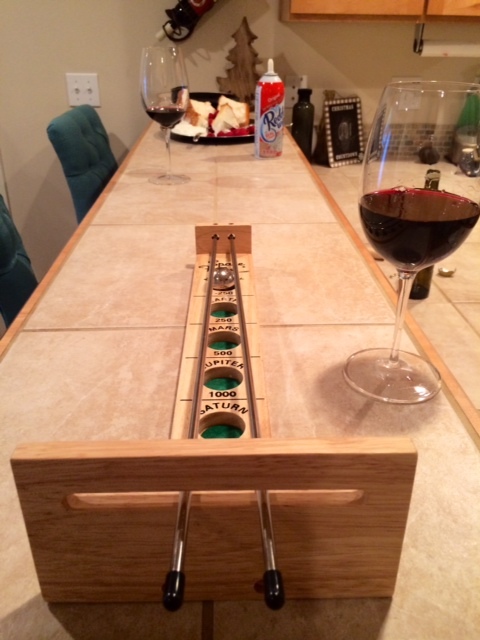 Wahoo (a marble game similar to Parcheesi), which we pull out and play almost monthly. Logan, our neighbor actually gifted a hand carved Wahoo board this year to his family for Christmas... seriously impressive carving skills he has. We also brought out an old family favorite that some of you may recognize as Space Force or Shoot the Moon. Possibly the most fun was had with this one. Note: the more wine you drink the more hilarious the game. 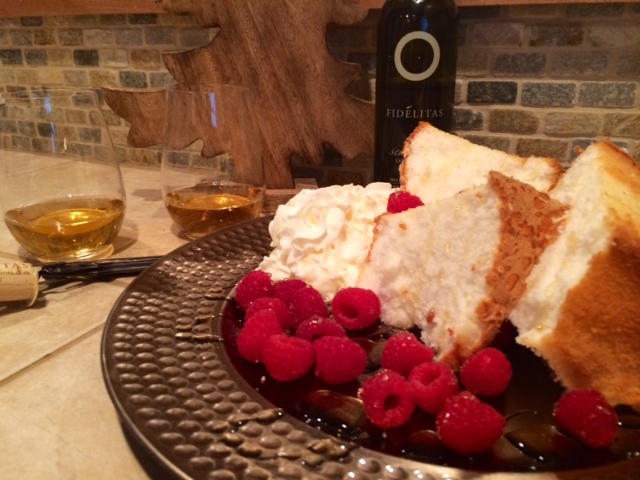 We tried our hand at making an Angel Food Cake from scratch and it actually turned out to be DELICIOUS! Can you read my surprise here? I am by no means a baker. Tossed some raspberries on the side, drizzled with agave which literally made it sparkle, then piled on the whip cream. We served this with chilled glasses of our Klipsun Vineyard Late Harvest Semillon. I meant to drizzle the Late Harvest Semillon over the top of the cake however, by the time I remembered the cake was long gone. Needless to say, we had a great night and were all happily tucked into our beds by 12:15. 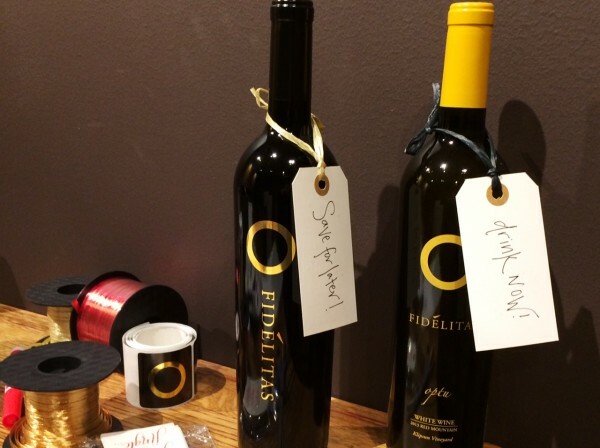 Cheers to our Fidelitas filled New Years! 1. 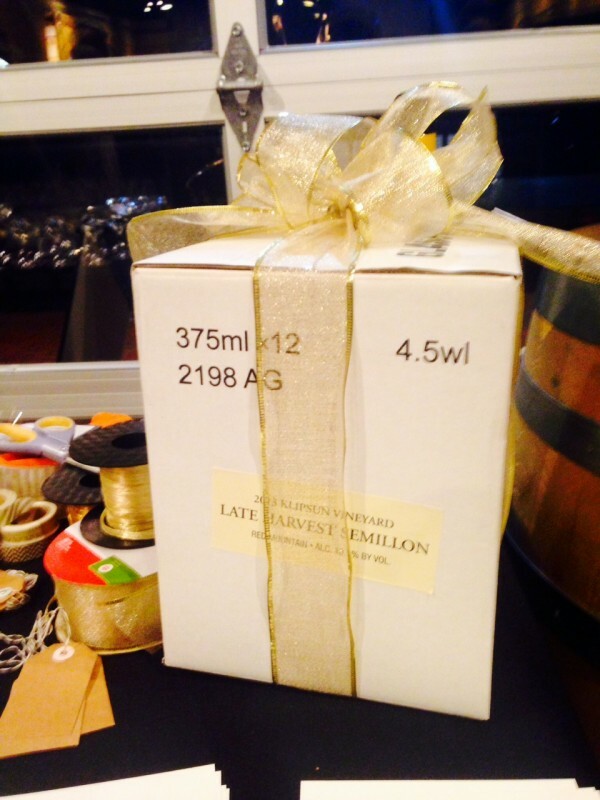 The Gift Pack - You had me at hello, gift packs! I've already made so many decisions trying to perfect my gifts this year I just can't do it anymore. Thank you for already being assembled for me AND gift wrapped. With all of the effort I'm saving, I suppose I can sit back and enjoy a glass of wine instead of battling traffic on the way to the mall for the 3rd time this week. 2. The Gift Membership - This my friends, is the gift that keeps on giving...literally! Show your brother in Michigan that you're thinking of him all year with a membership to the Fidelitas Wine Club. 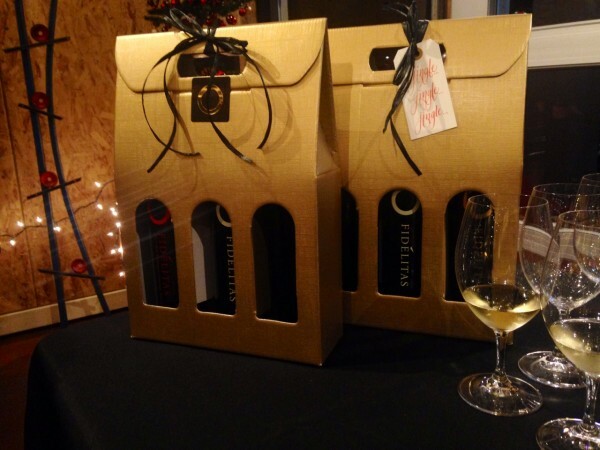 We'll send them club releases four times throughout the year with access to Fidelitas' best releases, club only events, and complimentary tastings at both tasting rooms all year long. I must say, I also highly recommend this gift for your best friend who always ends up opening your favorite bottle of Fidelitas when they come to your house for dinner. Take my word for it, they will love you forever. 3. The Co-worker Gift - I owe this idea to some of our brilliant and ever so busy professionals in the club. We all have those people we work with everyday that listen to our rants about the 100 emails that are blowing up the system or those that get us coffee when we're on a 14 day stretch in the office. Without them, we would all have a case of the Monday's everyday, which is simply unacceptable. Give us their name and office address and you're done! We'll send them a bottle with a special note from you. *Hosting an office party? 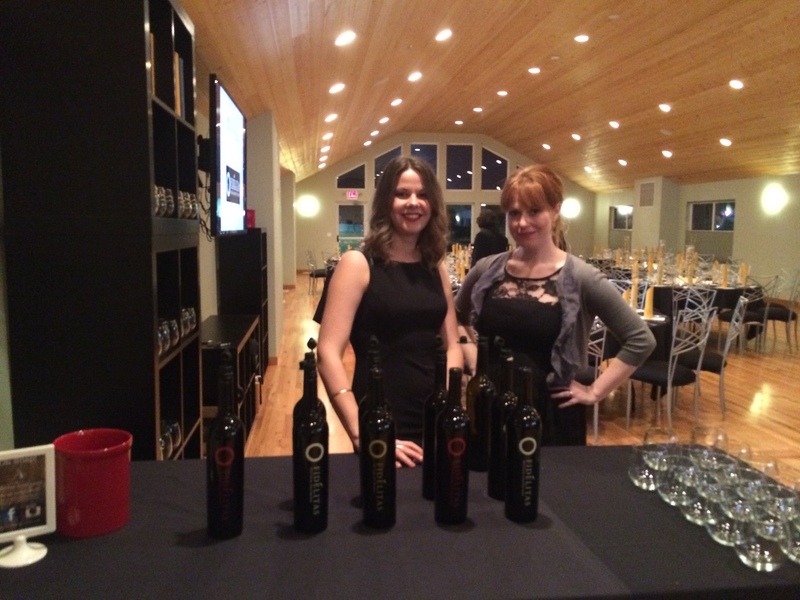 Think Columbia Valley Cabernet Splits as party favors! 4. The Drink Now/Save For Later - Seriously, you can give this to anyone and everyone and it's thoughtful and simply put... great. Here's how it goes: buy one bottle you don't feel guilty for opening up on a Tuesday night after work such as the 2012 4040 Red Wine (retail $32) or 2013 Klipsun Vineyard Optu White ($32) for the Drink Now portion. Then to Save for Later, give them something with a touch more elegance that can stand some time in the cellar such as the 2010 Champoux Vineyard Cabernet Sauvignon (retail $65). You have given them something they can enjoy right away (for us instant gratification people) and something that they can open at a special occasion (say Christmas next year?!). 5. The Experience - Have you been dying to introduce your friends Fidelitas? Do you need more ideas for family time? How about a date with a special someone? 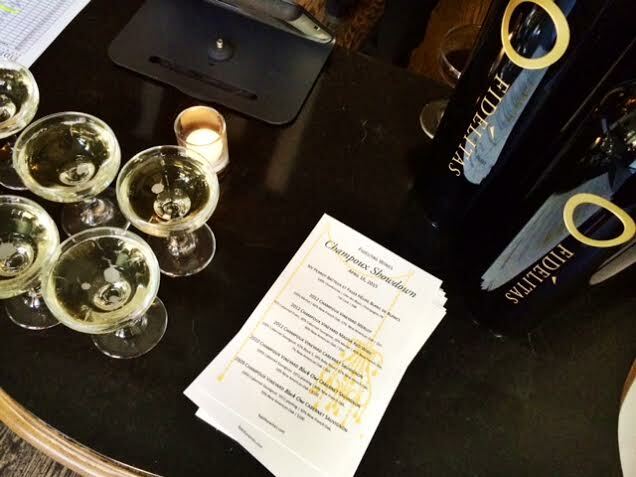 Introduce them to Fidelitas with a tasting experience at either one of our tasting rooms. 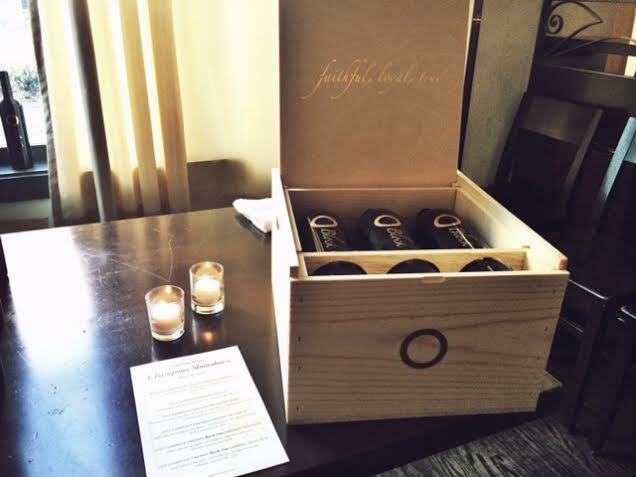 This includes a flight of five Fidelitas wines paired with cheeses for $30 for 2 people. This gift is an experience they will always remember! Every month I am lucky enough to spend a few days on Red Mountain and every time I'm there it's amazing how the vines transform. 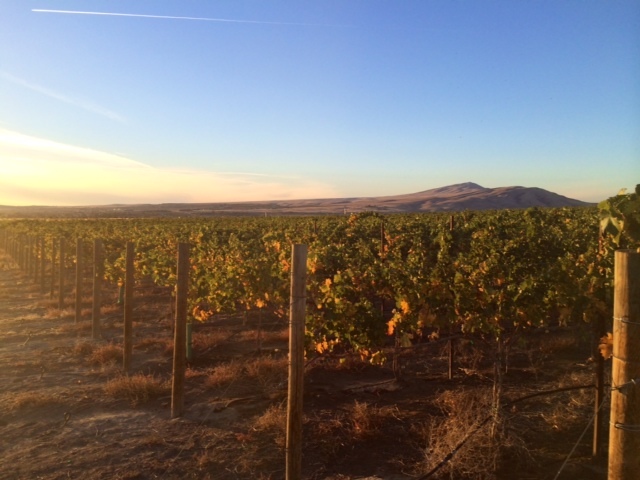 This time while I was wasting time waiting for rock blasting on the pass to get over, I spent the last few minutes of sunlight in our Estate Vineyard capturing some of the beauty of October on Red Mountain. It's crazy to think by the time I'm there next month, most of the shades of green will be long gone. 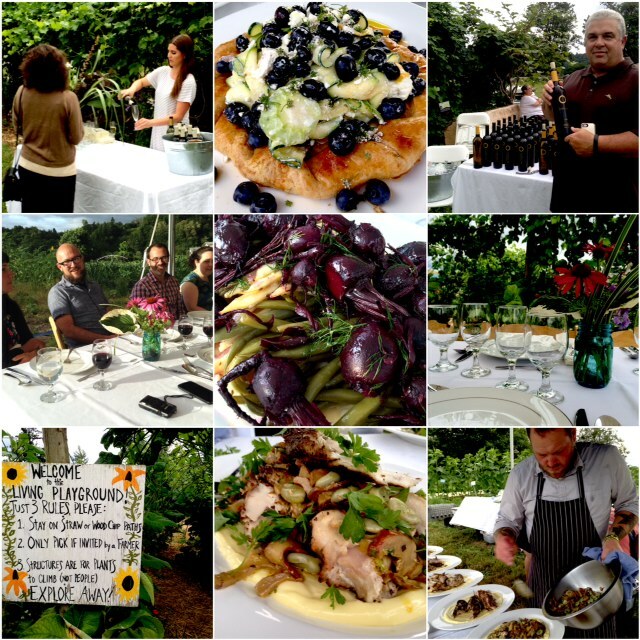 This past weekend we got together with Chef Matt Dillon (of the Capital Hill favorite, Sitka & Spruce) and Sno-Valley Tilth to create the ultimate Table to Farm dinner at the beautiful Oxbow Farm in Carnation, WA. The wonderful folks at Oxbow adorned the long family style tables in the middle of rhubarb rows and sunflowers, with vintage linens and fresh farm flowers. My inner-hippie was in a dreamy farm heaven! All of the fresh organic produce on the menu was provided by Oxbow Farms. 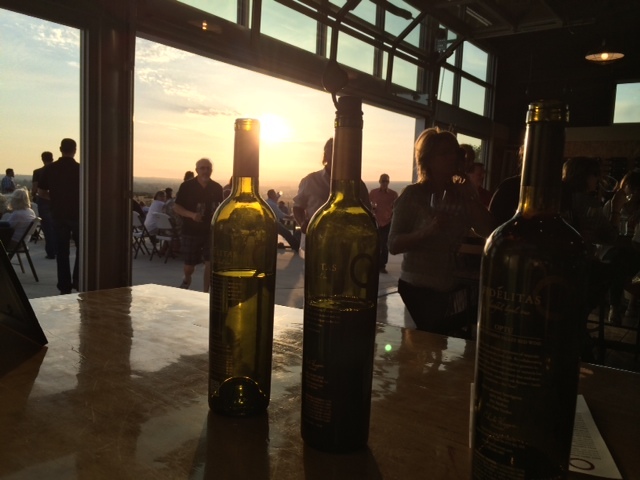 It was amazing to drink Red Mountain wines along side the vibrant flavors from local fair. Washington really does have it all! I must say, I am still dreaming about those smoked beets and a glass of Malbec. Luckily I was able to capture a few photos in between bites! 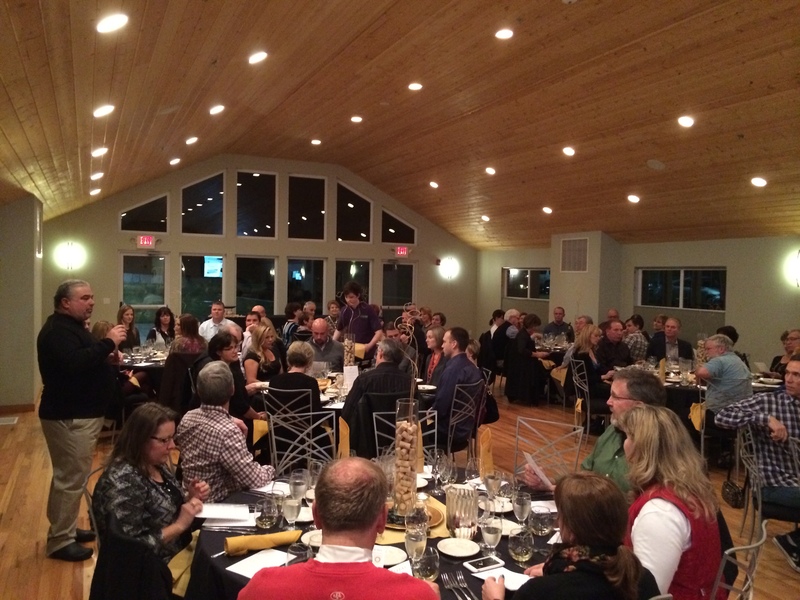 If you missed out on this dinner, Sno-Valley Farms will be hosting another Table to Farm dinner in August with our friends over at Desert Wind Winery. Check out their website for tickets! 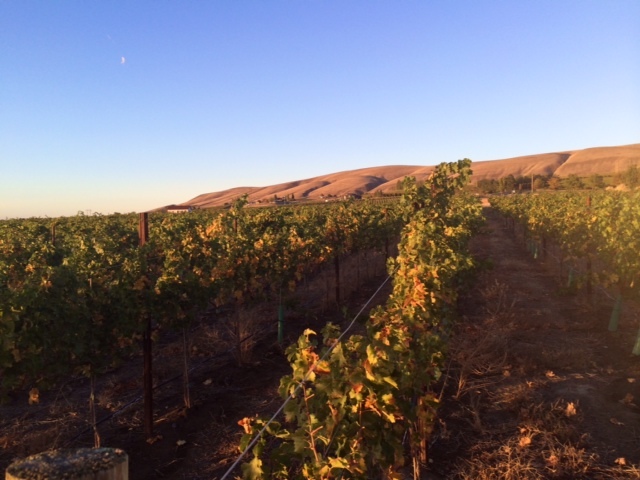 There is so much more to the 4,040 acres that make up Red Mountain than just dirt and vineyards. I am reminded of it every time I take that turn onto Sunset Road. 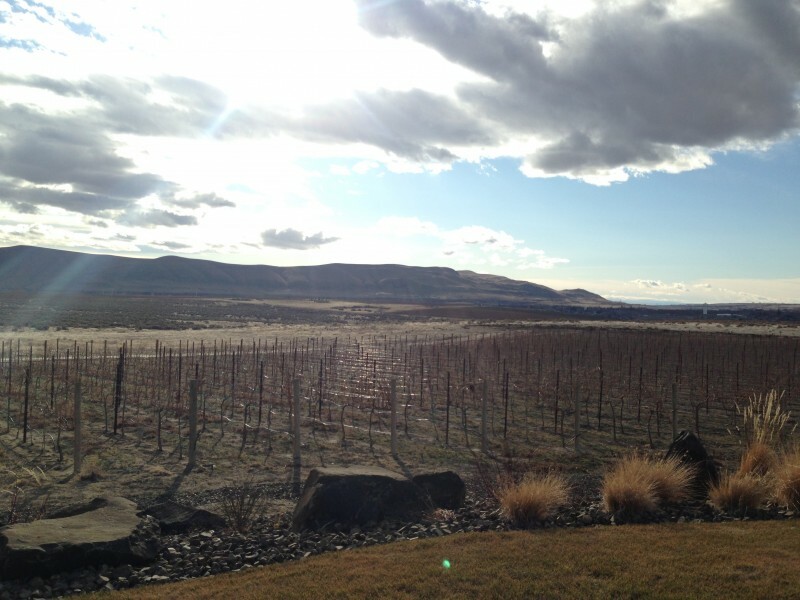 A promise of sunshine and a persistent breeze when you are overlooking our estate vineyard. The quiet (seriously quiet!) 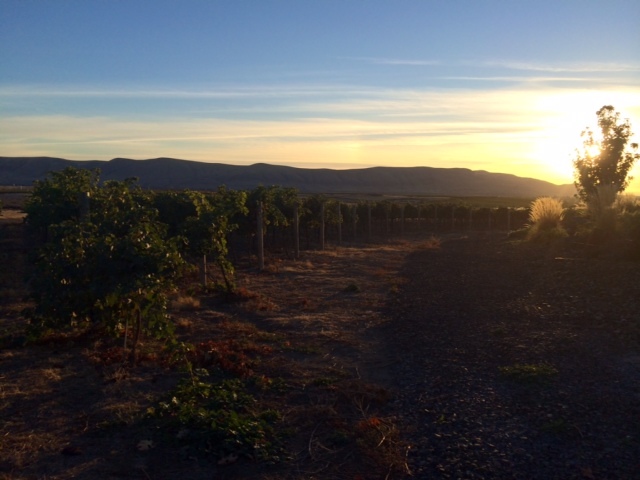 evenings that host vibrant Eastern Washington sunsets over Rattlesnake Mountain, and the miles of hills that make up the Horse Heaven’s that seemingly surround you. It’s a sense of community seeing the small handful of wineries coming together to share their taste of the mountain and of course, the friendships made with those visiting, whether local Washingtonians bringing their friends and family out for a weekend picnic, or those who have traveled quite a distance to experience the uniqueness of all that we have to offer from our small, but highly acclaimed AVA. 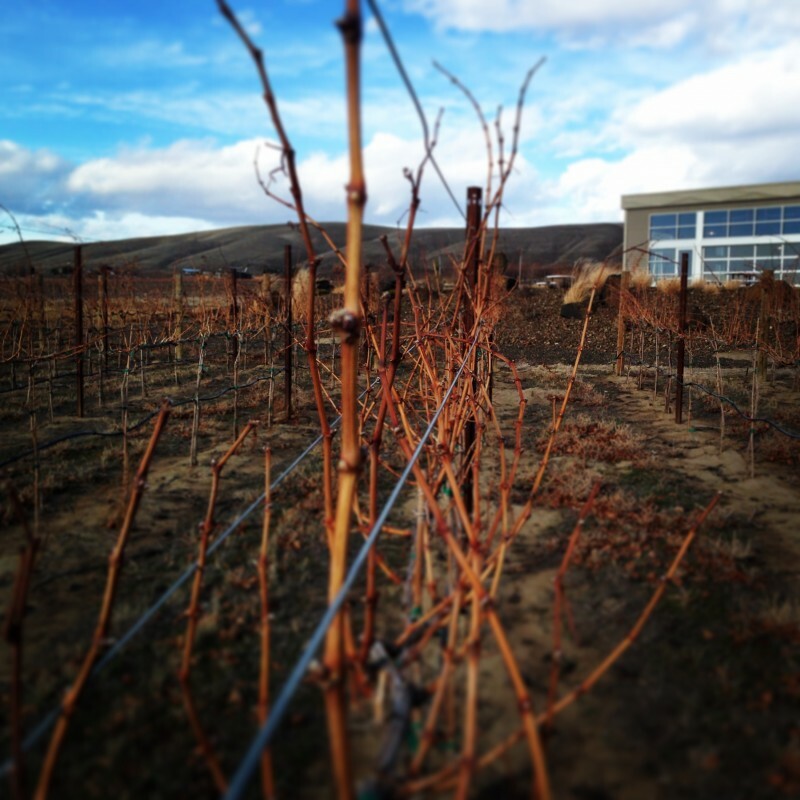 As Red Mountain continues to grow, quite literally with the new plantings already taking place, the experience grows with it and gives us something to look forward to every time you take the Benton City exit. I was lucky enough to spend most of last week on the mountain and it was hard to convince me to leave. In the busyness of our Feast of St Fidelis party on Friday night, I snuck this shot and to me it sums up so much about what I love about our home on Red Mountain. 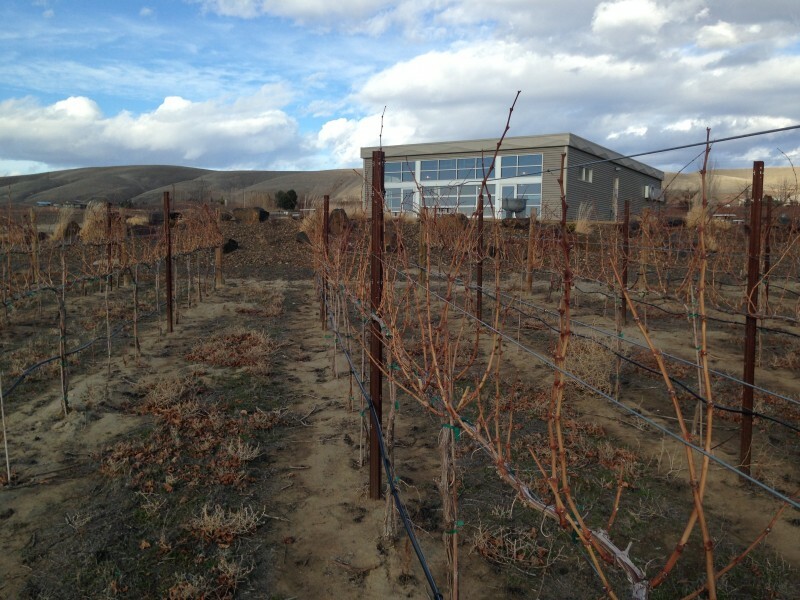 We are getting spring fever here in Woodinville so our lovely Erin on Red Mountain sent some pictures of the estate vineyard to remind us that although the vines are bare, spring is not far off and there are blue skies ahead on our beloved mountain! 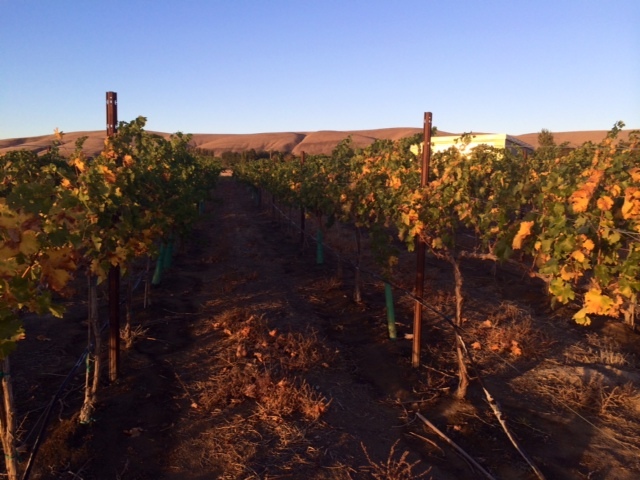 Upon receiving these photos I thought to myself “what exactly do those vines do in the winter anyway?” I gave Charlie a call and his response: “they’re sleeping.” Simple enough. He then went on to explain that technically speaking in winter, grape vines are dormant, meaning “having normal physical functions suspended or slowed down for a period of time,” and I’ll admit I got a little envious of those grape vines in their deep slumber. He expects pruning to start within a few weeks which means nap time is almost over for these guys!